This year was all about exploring our own country, as well as our adventures abroad. Luckily, we have had several weddings in opposite ends of the country, which has inspired us to make little mini-getaways. 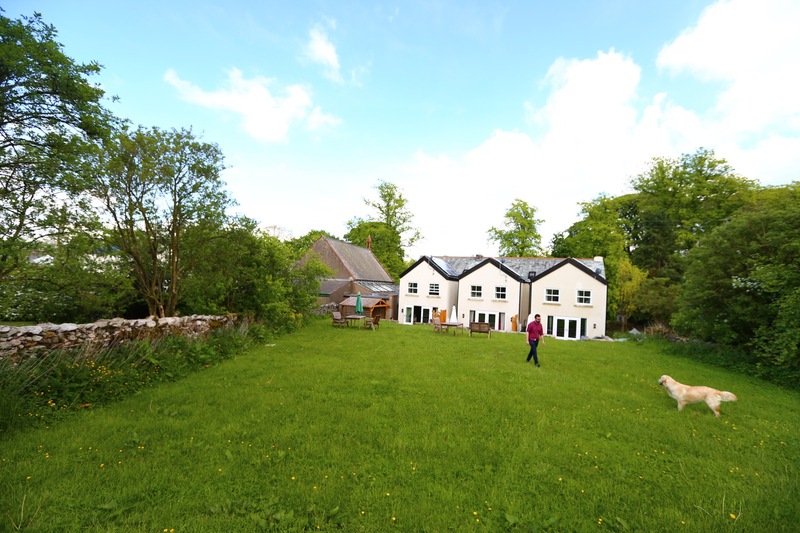 This time, after a lovely wedding in Newcastle, we hired a car from the airport and drove 90 minutes across the country to the stunning little village of Crosby Ravensworth, which is in the heart of the Eden Valley and approximately 4 miles from the M6. We booked ‘One Chapel Terrace‘ on Airbnb, which sleeps six for a minimum of two nights. It was a beautiful little cottage, with a hot tub, perfect for soaking aching muscles after a long ramble uphill. We ate at The Butchers Arms, a community owned pub in Crosby Ravensworth, and the only place to eat within 11km. It was a stones throw from the cottage and has just been taken over by new owners. The menu was small, but catered for all, with daily specials on the board. The fish and chips were one of the best I’ve ever had from a pub/restaurant. The next morning, we drove 26 miles to Aira Force and Ullswater in the Lake District. As soon as you catch a glimpse of the lake driving through Pooley Bridge, you realise why people rave about the scenary and the tranquility of the region. I am a sucker for bodies of water with breathtakingly beautiful mountainous backdrops, so this ticked all he boxes. We were also blessed with glorious sunshine, although this resulted in half-term holiday makers flocking to the numerous National Trust carparks like the world was going to end. It didn’t help that the sunshine had not been forecast, so everyone was desperate to soak up every ounce of golden ray on offer. 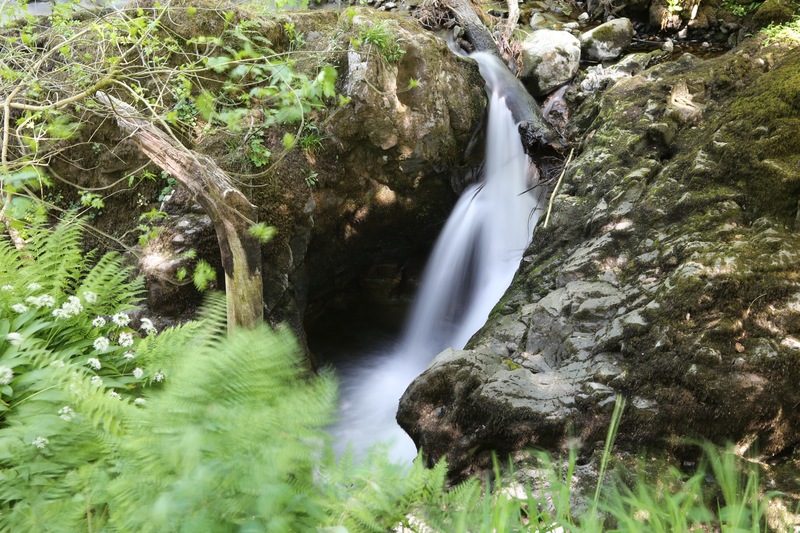 Aira Force is a 65ft waterfall, accessed by a fairly leisurely stroll through glades and woodland. We continued the walk up, following the stream. Being half-term, many families littered its banks, enjoying the sun. 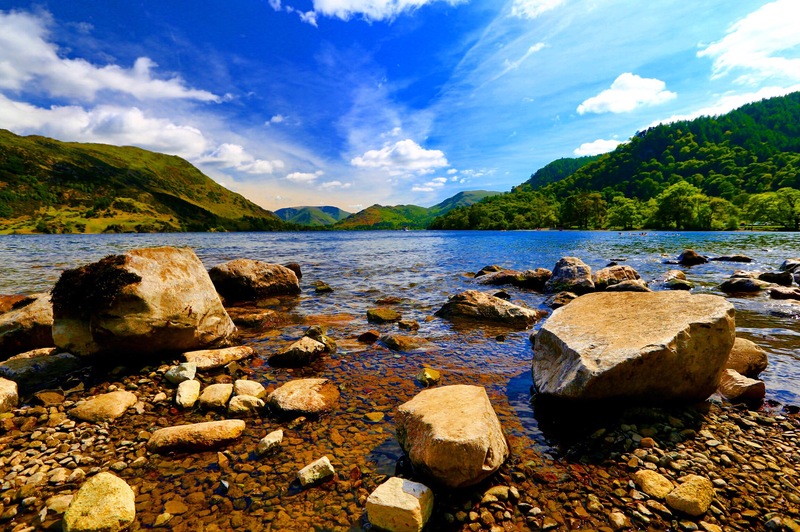 Ullswater lake itself, offers an array of different watersports and tiny secluded bays and beaches, to enjoy a paddle or a snooze. We (obviously) went for the latter, after scoffing a huge slice of cake from the National Trust tea room. Albeit a tiny taste of what the Lakes have to offer, I can definitely see why so many people describe it as the most picturesque region in the UK. I was slightly concerned that I would be left disappointed after our trip to Snowdonia – however this boasted a different kind of WOW factor to that of North Wales. Ullswater was buzzing. Whether it was the half-term or general touristy feel, you felt it embraced the crowds and encouraged them to flock, enjoy and experience the scenary that we are so lucky to have in England. It is celebrated. Now that you have discovered the Lake District I am sure that you will return. The mountains may not be as high as Mount Cook but they are just as beautiful. We’ll be back very soon, an extremely beautiful part of the world. Baby purchases so far…and recycled essentials. Loops Does Create a free website or blog at WordPress.com.